Peppermint treats are delicious, and perfect for holiday baking. 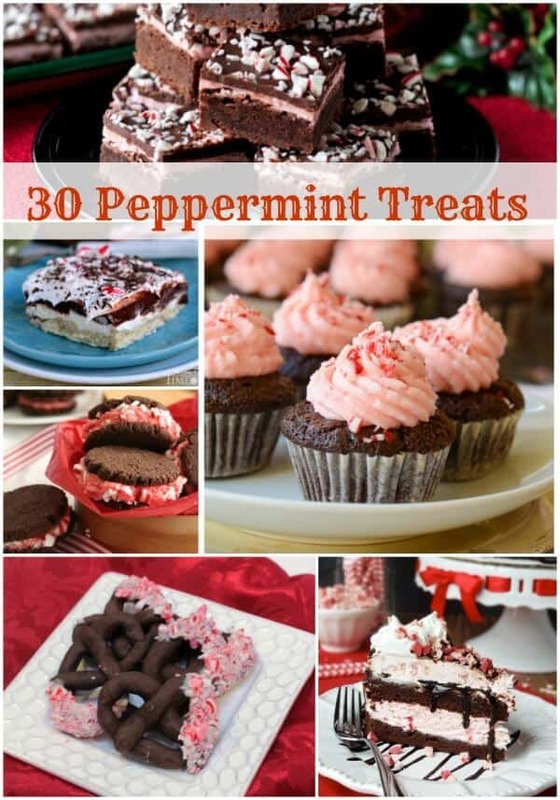 Peppermint lovers will enjoy all of these easy treats recipes! I’ve had a series of baking snafus in the kitchen over the last couple of weeks which is not so great when I’m hosting the 12 Weeks of Christmas Treats Challenge. So much for planning ahead! So this week, I’ve rounded up a bunch of peppermint treats from other bloggers around the web, hoping to inspire you to get baking! I love all things peppermint, especially when they’re paired with chocolate. I like to keep track of recipes with peppermint on my Peppermint-palooza board on Pinterest. The first four recipes for peppermint treats are from me, the rest are from the blogs listed. I hope you enjoy this peppermint treats roundup and are inspired to try a few of the recipes yourself. Which peppermint treats recipe do you want to try first? 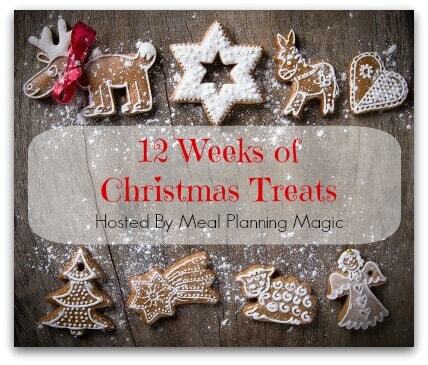 You can find out all about the 12 Weeks of Christmas Treats by clicking here for more information an details about joining in. If you’re a blogger, be sure to check the guidelines, join the challenge and then link up your own post each week. It doesn’t have to be peppermint this week either–anything goes as long as it’s within the guidelines otherwise. And everyone, don’t forget to check out these bloggers who have linked up their recipes. Thanks for coming and linking up at #The Weekend Social. Please be sure to come back next week starting Thursdays at 9PM EST <a href=”http://www.bakeatmidnite.com”>The Midnight Baker </a> ! I hope to see you there! Great round up. Thanks for including my cookies! You bet Carolyn! Glad to have your contribution.